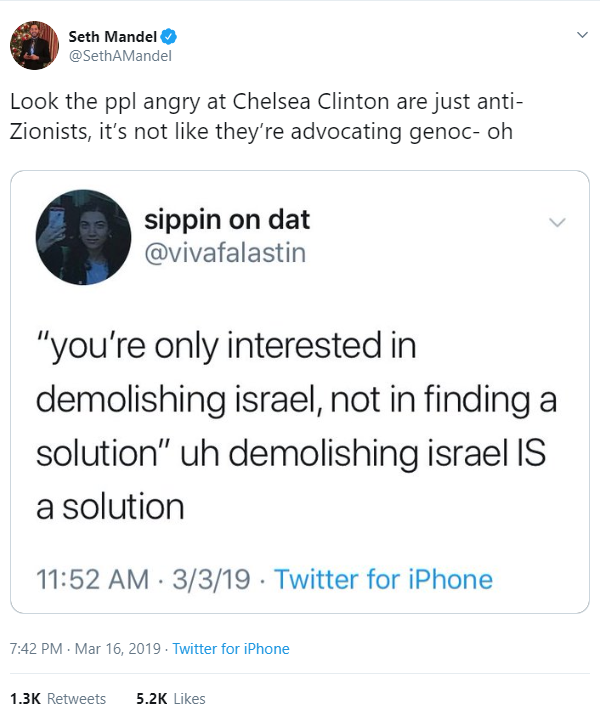 Remember on Saturday I covered when some Progressive Palestinian activists from NYU decided to yell at Chelsea Clinton, blaming her for the New Zealand mosque shooting because she called out Ilahn Omar’s antisemitism. The narrative is being created to protect Ilhan Omar and the rest of her Progressive Jew hating ilk from being challenged, less calling out Muslim antisemitism leads to another mosque shooting. First up, Linda Sarsour is pushing this. Yeah, the internet piled on Omar because she’s just an innocent black, African, Muslim, refugee woman. Nothing but her identify. It’s not like she has a history of saying horrific things and standing by horrific people. Nope, just her identity. 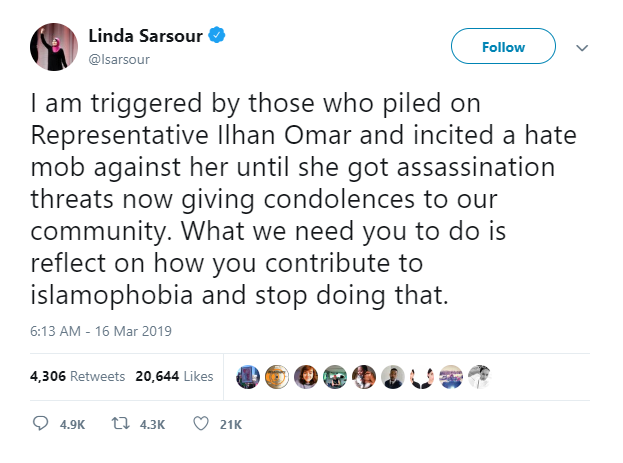 Sarsour has been a staunch defender of Omar, Tlaib, and AOC. But worse than than, BuzzFeed decided to give the girl who yelled at Chelsea Clinton a guest columnist spot. See, it’s not that Omar said things that were antisemitic, just questioning Israeli lobbying money in Congress. Chelsea Clinton’s slap on the wrist criticism of Omar’s antisemitism, that was vile Islamophobic hatred. I wonder what kind of person could take that position with straight face. One who advocates for Israeli genocide. That kind. This coming from the same people who claim that Jews use accusations of antisemitism to shut down debate about Israel. Apparently debate over topics like an anti-Israeli final solution. We are watching this narrative form right before our eyes, and we cannot allow it to happen. Previous PostPrevious I have offended Twitter and punisment has been issued.